NEW YORK (WABC) -- It's the most wonderful time of the year --- just not for travelers. People heading into LaGuardia Airport were suffering heavy delays due to an accident at Terminal B. 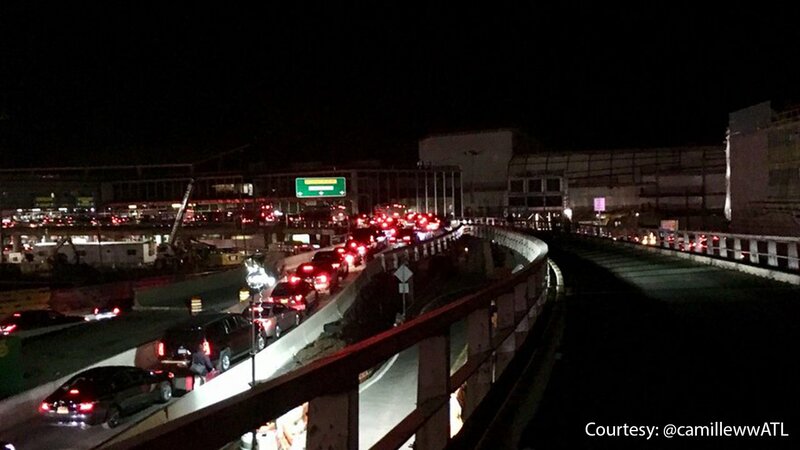 Some travelers took to social media while waiting in traffic, some even admitting to getting out of their vehicles and walking to the gates from the Grand Central Parkway. seriously one of the worst airport experiences of my life just now. traffic to #LGA is horrendous so the bus driver had us walk the last two miles. More than 107 million people are expected to travel this holiday season, according to AAA. Dec. 20 and 21 are expected to be the worst travel days for most cities. If you are traveling this holiday season, be sure to give yourself plenty of time.